Yoga perspectives: A weekend of in-depth practise. Lars devotes much of his time and energy to teaching and practicing yoga because he believes it is ideal for helping us cope with the demands of living in this era. He enjoys watching how people change as they pursue this discipline, developing softness, tranquillity, and strength as they come to a better understanding of themselves. He believes you don’t have to have powerful muscles or flexible limbs to do yoga—it’s not about performing on the mat but rather coming to understand who you are, getting to know yourself, by focusing on breath and movement. Taking yoga with us out of the studio and into the day, we may find it’s easier to deal with our aches and pains, our disappointments and struggles. Yoga is about fostering a synchronicity between self and the world; the micro becomes part of the macro. Having worked for many decades as a chef, and then studied wholefood and macrobiotic cooking, Lars is interested in the way many people become more aware of how what they eat is affecting them. As they become curious about the relationship between food and the body and mind, he is able to offer advice about the ways diet can be used to support the changes they are undergoing. 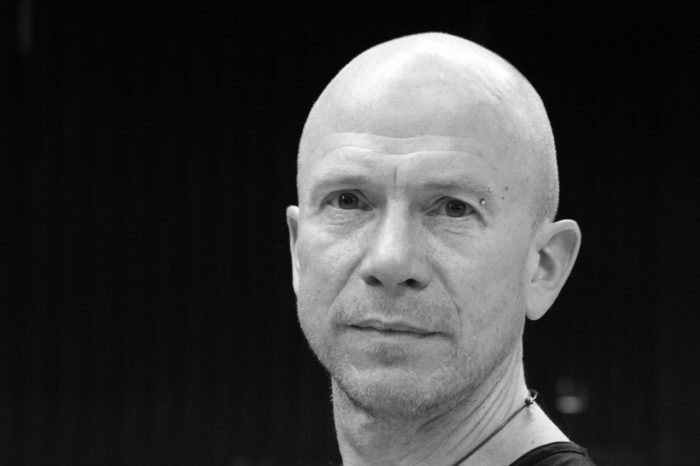 Lars Skalman completed the Dancing Warrior Teacher Training Course in 2013 to complement his already extensive involvement in Hatha-based yoga. Previously, he undertook training to teach Ki yoga at the Zen Renaissance Healing Centre, which he finished in 2004. Having taught in Sydney for the past eleven years, Lars has sought to deepen his understanding of this exciting and challenging discipline, attending courses at Yoga Synergy, and with the renowned Clive Sheridan. This series of masterclasses with Lars is open and available to all practitioners of yoga, whether a teacher, a teacher-trainee or a student. In this class we’ll look at proper alignment and set-up of poses such as Trikonasana, Parsvakonasana, Virabhadrasana A&B, and forward bends such as Paschimottanasana, Janu Sirsasana to name but a few. Standing poses are designed to generate heat in the body at the beginning of the class to facilitate deep forward bends. A thorough look at twists of varying difficulties to challenge you to go deeper in your practice and learn to appreciate and come to love the softness that allows you to twist and unfold. In this class we’ll also look at the concept of Bhandas and how to engage them when focused on core work. We will also consider how to strengthen our arms, which will enable us to try our handsat inversions and arm-balances. Sick of having a sore back? Backbends are counterposes designed to iron out the slump we get from sitting too much. They are also invigorating and help to increase our determination as well as helping us to confront our fears; additionally, backbends prompt us to reconsider what we are capable of; all of which assists us with our inversions. Being upside down is fun, sometimes scary, but always rewarding so let’s explore and see what comes up. Now everything we’ve practiced will be put together in one class. You’ll be guided through the poses that make up the primary series in the Ashtanga method. We will stop and break down some of the more challenging poses and alternatives will be provided. This is the time to feel the tapas rising in your body and to hear your Ujjayi breath and have some fun.